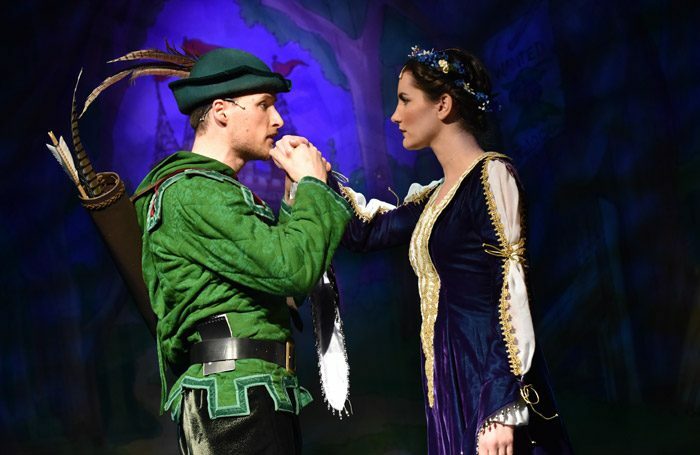 Little Wolf Entertainment has been producing the Loughborough Town Hall pantomim for five years under the multi-talented Morgan Brind – writer, director and designer. This year’s production is its wittiest and most inventive show yet. Brind’s show has enormous energy, especially from Kristian Cunningham as Much the Miller’s Son. The delivery of the speeches and songs are as clear as a bell. But what makes it so refreshing, and ultimately outstanding, is the way in which the cast play all these familiar things as if they – and we – are coming to them for the first time. There’s a total lack of cynicism and that’s the biggest compliment it can pay its audience.